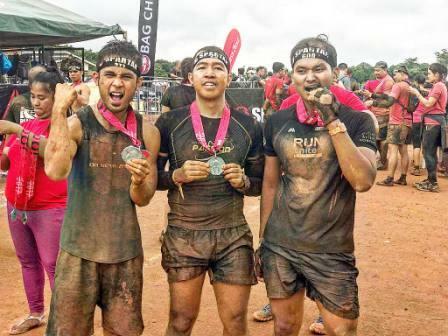 Have you experience running in the rain?! What preparations do you do to keep your feet and body safe from the wet roads. 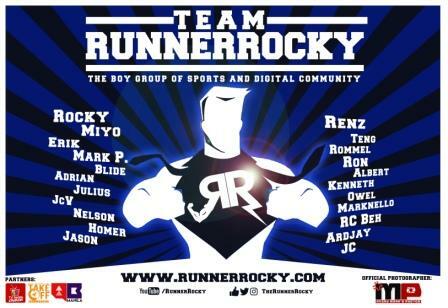 If you're to ask me, yes, Runner Rocky already ran many times in the middle of the rain. I have also experienced running in a changing weather - from sunny to rainy then back to sunny. And yes, I've prepared myself in times like these. 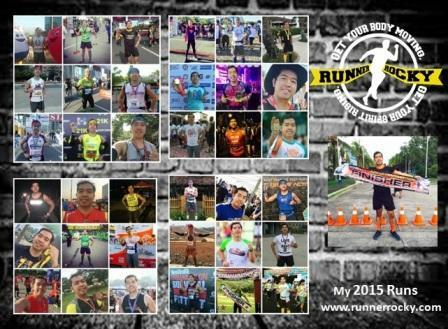 I always ensure that I'm safe and protected running in the rain. 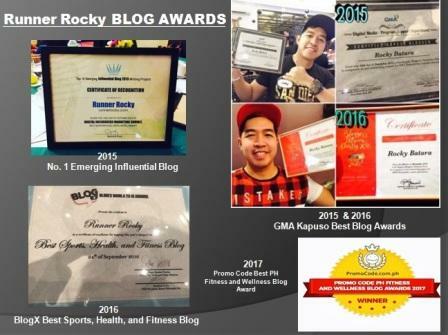 At the same time, my gadgets (specially my iPhone) were also secured safe. We love the cool weather during the rainy season. But the constant downpour leaves your feet soaked in water most of the time, which may lead to feet hygiene problems. It is during this time that you need to take extra care of your feet as they become more prone to common foot diseases such as blisters, foot odor, or fungal infection, especially if you love to do outdoor activities such as running or jogging. Worry less as there are easy ways to protect and improve feet hygiene during the rainy months. Waterproof running shoes are commendable, but that should not be the only consideration. Bacteria and fungi grow rapidly during the wet season, so it is important to choose rubber shoes that let your feet breathe. “Breathable” shoes absorb and drain away the sweat through tiny holes on the outer sole. To keep moisture at bay, opt to use a pair that uses mesh or mesh-like materials and has antimicrobial liners. The secret to protecting your feet from blisters or foul smell is to wear the right pair of socks. Socks are important because they act as protection between the shoe material and your skin. 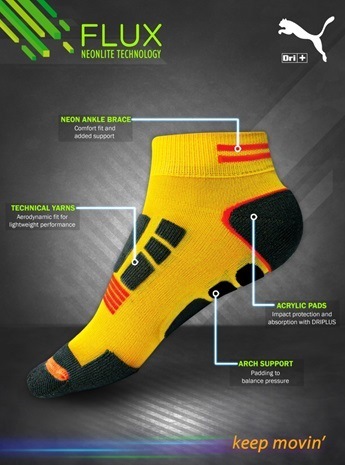 There are socks available in the market that offer different technologies and materials depending on your need. For instance, a pair of Puma Flux would be the perfect pair for joggers and runners. Puma Flux is infused with DriPlus Technology, which is also applied to most active wears to help improve absorption. The socks are also made more breathable because it is made of technical yarns for superior stretch fit and comfort. 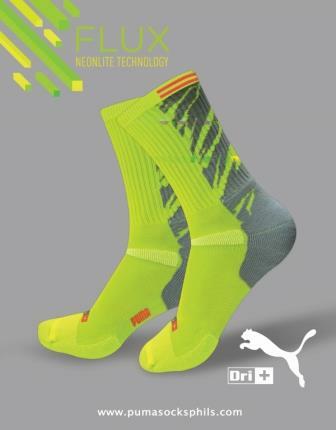 Puma Flux also boasts of its NeonLite Technology for enhanced aerodynamic but lightweight performance. Moreover, Puma Flux provides extra cushioning, which helps your feet take the hard impact of the sidewalk or road better. 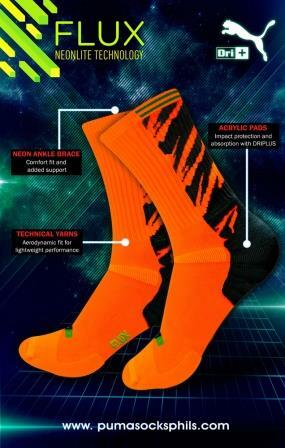 Its neon ankle brace is elasticized to provide extra support, while its soles have acrylic pads for impact protection. After getting back from a wet run, take off your shoes and dry them before storing. You may use absorbent gels or newspapers to quickly remove moisture and smelly odor from the shoes. Do not let the rain hinder your running routine. Manage foot hygiene problems this rainy season with Puma Flux. Check out your local stores for a pair of Puma socks or visit http://www.burlingtonphils.com/puma to know more about the various Puma socks.